Royal Caribbean is informing passengers set to embark on this week's Freedom of the Seas cruise that the ship, "is currently experiencing a small restriction on her top speed." As a result of the speed reduction, the ship will have to change the Eastern Caribbean itinerary. The ship will skip a port call at the company's private island of CocoCay and reduce the time the ship will spend in St. Maarten. Emails and text messages were sent to guests today informing them of the change. 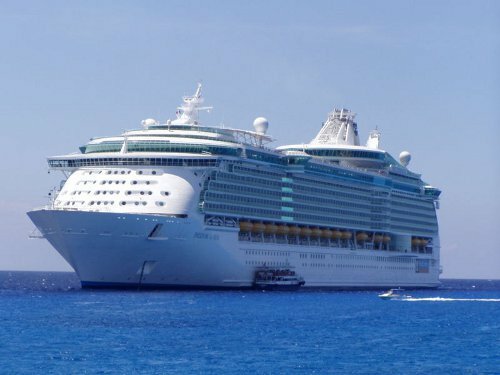 Royal Caribbean assures guests that the ship is fully operational and there is no impact on the maneuverability of the ship or on the safety of our guests and crew. There is no word on what caused the propulsion problems. Freedom of the Seas is scheduled for a dry dock session in January 2015. Royal Caribbean is also giving all passengers an undisclosed amount of onboard credit. A letter with the credit amount will be delivered to each stateroom. Passengers tha had shore excursions booked in CocoCay through Royal Caribbean will have their excursions fully refunded in the form of onboard credit, although unused money can be refunded after the cruise back to passengers. Freedom of the Seas is set to leave Port Canaveral on December 14 as scheduled. DEC 15 UPDATE: Blog reader Sean shared with us some more details on the problem affecting Freedom of the Seas. There is a recorded message from Captain Tor Olsen playing in all staterooms explaining the problem. The center fixipod is having the trouble, which is similar to the problem Allure of the Seas had earlier this year. Captain Olsen described one of the bearings as being "in very bad shape". As a result, the main thurst propeller blade has been removed from the center pod and Freedom of the Seas is operating only with the port and starboard azipods. The result is a reduced top speed by 5 knots, with a new max cruising speed of 18 knots.